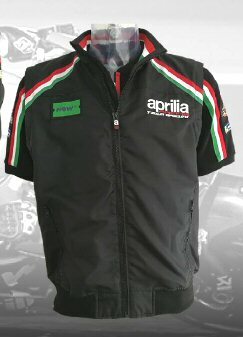 Cotton/Polyester Jacket with removable sleeves. 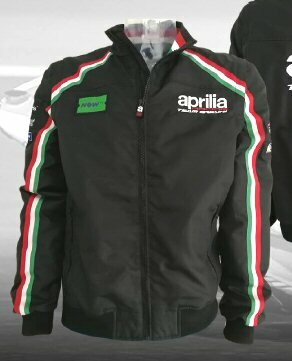 Official Aprilia Gresini Moto GP Team Gear. 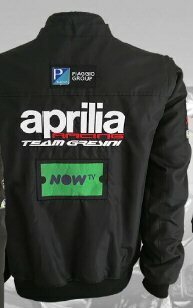 Features several embroidered patches, hip pockets, and jaquarded labels on the sleeves. Sleeves are removable, so this jacket can also be worn as a short sleeve vest. Sized in European proportions. Order one size larger than normal to ensure a good fit.